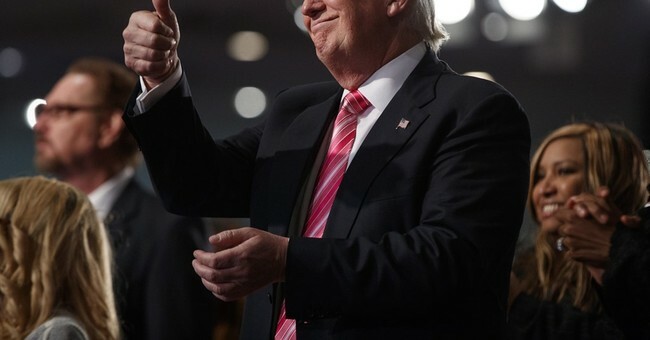 A new CNN poll shows Republican Donald Trump has closed an 11-point gap with Democrat Hillary Clinton and leads her nationally in the race for the White House by two points. Trump tops Clinton 45% to 43% in the new survey, with Libertarian Gary Johnson standing at 7% among likely voters in this poll and the Green Party's Jill Stein at just 2%. Among those likely to turn out in the fall, both candidates have secured about the same share of their own partisans (92% of Democrats back Clinton, 90% of Republicans are behind Trump) but independents give Trump an edge, 49% say they'd vote for him while just 29% of independent voters back Clinton. Here's a key point from Trump campaign manager Kellyanne Conway. A majority of Clinton's supporters say they're less excited about voting this year than usual (55%) while most of Trump's backers say they're more excited this time around (56%). Trump is leading Clinton on the issues of the economy and terrorism, while Clinton beats him out on foreign policy and immigration. He also leads Clinton on trustworthiness 50 percent to 35 percent. It's clear the recent campaign shakeup, Trump's trip to Mexico last week and Hillary Clinton's ongoing email scandal and Clinton Foundation woes are having a significant impact.